#CO2 Capture Could Be Super Cheap by 2040s if the Path of Batteries Followed. It’s been a rough road for carbon capture. But are we underestimating its long-term potential? Earlier this summer, a #Harvard researcher said he can potentially pull carbon dioxide out of the atmosphere for as little as $100 per metric ton. The news reinvigorated many people who had resigned themselves to an ever-warming planet. The announcement also received push back from some scientists and environmentalists who fear creation of a “moral hazard” if experimentation undermines the political will to halt emissions and the subsequent technology turns out to not work well enough to halt global warming. Nevertheless, money is already flowing into this “negative emission technology” research. 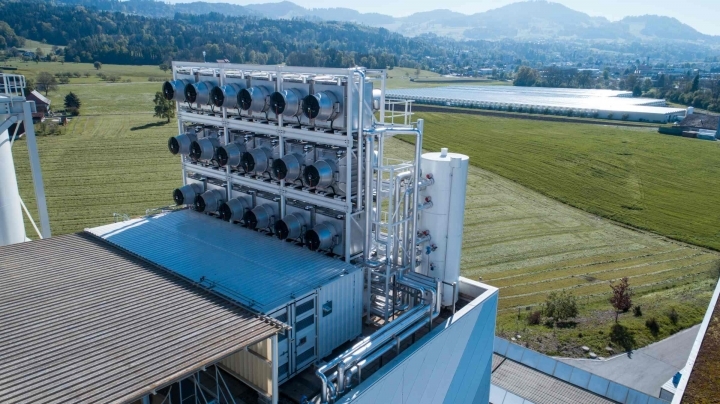 #Microsoft co-founder #BillGates and others are supporting at least three demonstration projects — in #Iceland, #British #Columbia and #Switzerland — that strive to take carbon out of the air, and more investment is on the way. The #US tax code has also improved the risk profile of carbon sequestration projects in the United States with new Section 45Q tax credits offering up to $50 per metric ton and lifting a pre-existing annual cap on emissions.